It's day six of National Vegetarian Week today, and I hope that you have been enjoying the beautiful weather. 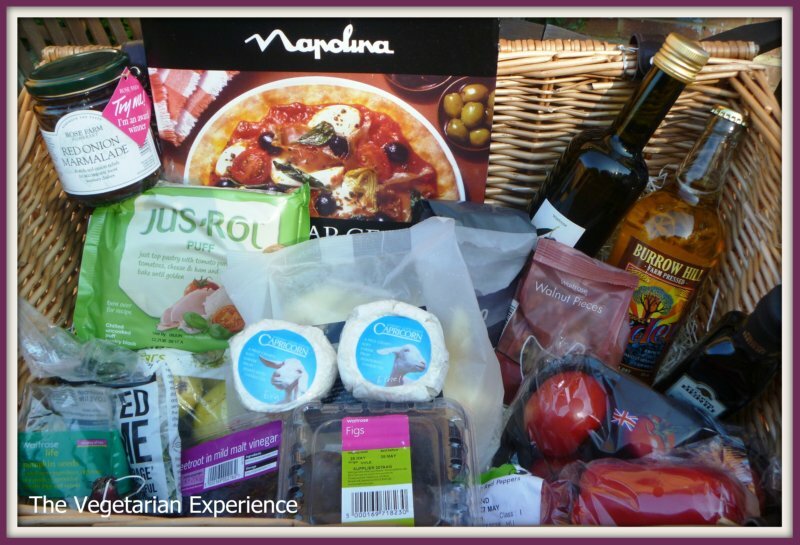 Earlier in the week I was sent a wonderful Hamper from those friendly goats at Capricorn Goats Cheese. Capricorn Goats Cheese is low in cholesterol and rich in calcium. It is also Veg Society Approved, making Capricorn Goats Cheese the perfect ingredient to use during National Vegetarian Week. I absolutely love goats cheese, and Capricorn Goats Cheese is so rich and has a very creamy defined taste, owing to the goats grazing on the rich pastures of Somerset. I have been cooking with Goats Cheese today and so I am featuring two different quick and easy Puff Pastry Tarts for Day 6 of veggie week - Goats Cheese and Beetroot Tart and Goats Cheese and Fig Tart. These Tarts are more of an assembly job then physically cooking - great for nights when you need dinner on the table asap. We really enjoyed making and eating the Goats Cheese Tarts. 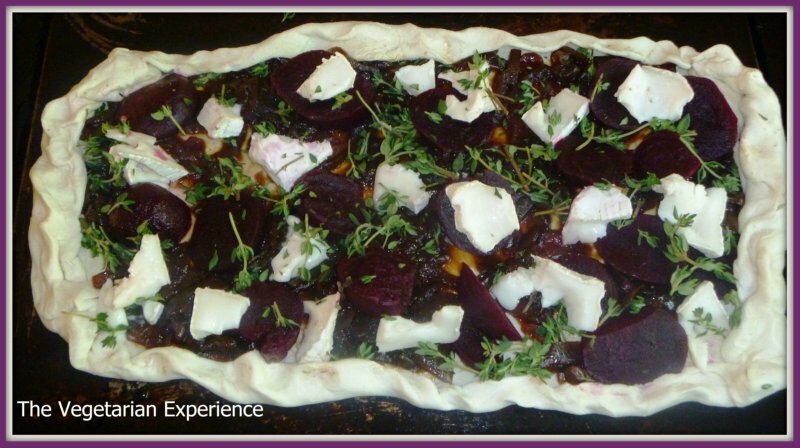 The creamy sweetness of the Capricorn Goats Cheese blended really well with the red onion marmalade, the beetroot and the figs. 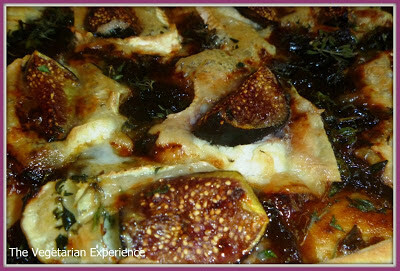 We slightly preferred the Goats Cheese and Beetroot Tart with the added flavour of the spring onions to the Fig Tart - although both were delicious. 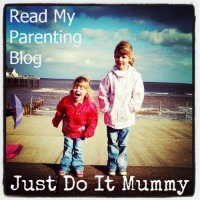 Here are the recipes below - I hope you enjoy them!! Turn the puff pastry block out onto a floured surface and roll until you have the desired size and shape for your tart. Place the pastry onto a greased baking tray. Spread the red onion marmalade liberally over the pastry. Layer the sliced beetroot on top of the marmalade. 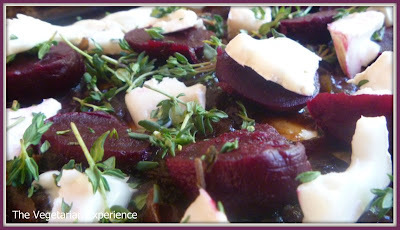 Break or slice the goats cheese into small pieces and place it on top of the beetroot. Sprinkle a handful of thyme over the top of the cheese. 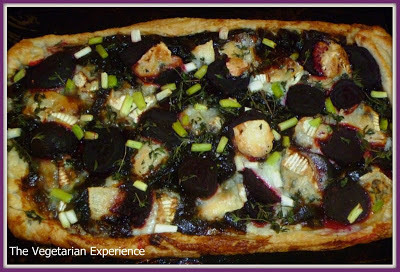 Cook the tart at 200 degrees for 10 minutes. Add the spring onions 10 minutes after cooking, and then cook for a further 10-15 minutes until the tart is cooked and the pastry is golden brown. Slice the goats cheese and place it on top of the marmalade. 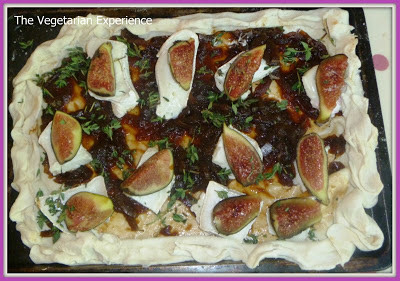 Spread the quartered figs over the top of the cheese. 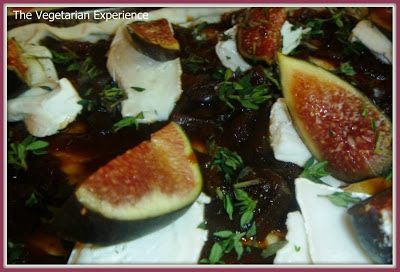 Sprinkle a handful of thyme over the goats cheese and figs. Cook the tart at 200 degrees for around 20 minutes until the tart is cooked and the pastry is golden brown. I am entering both of these recipes into the Capricorn Goats Cheese Capricorn Challenge. You can see other recipes entered by following the #CapricornChallenge hashtag on Twitter. Disclaimer: I was sent a hamper by Capricorn Goats Cheese in consideration of review. All views are my own.